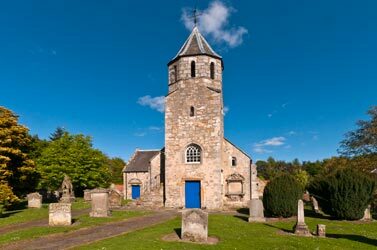 Consecrated in 1242, Pencaitland Parish Church is an outstanding example of an early Scottish Parish Kirk. Please click on the link below to read the fascinating history of this beautiful place of worship. In 2012, we were blessed financially to be able to carry out work to restore the building's exterior. We warmly welcome visitors to see the Church and we're pleased that the number of visitors is rising, particularly during the summer months with guests from throughout the U.K. and overseas. We will be pleased to provide a guided tour or let you look around yourself - whichever you prefer. Please get in touch in advance of your visit with Gill Hamilton (pictured left and in the download, below), via the 'Contact Us' page so that she can arrange to open the Church for you. The Scottish Genealogy Society has produced a booklet “Pencaitland Churchyard Monumental Inscriptions”. Copies are available from the society at £3 each through their website www.scotsgenealogy.com/Shop.aspx.